Scores 26 Highway MPG and 18 City MPG! This Honda Pilot delivers a Regular Unleaded V-6 3.5 L/212 engine powering this Automatic transmission. .* Stop By Today *A short visit to Lujack Honda Hyundai located at 3707 North Harrison St, Davenport, IA 52806 can get you a reliable Pilot today! Delivers 26 Highway MPG and 18 City MPG! This Honda Pilot boasts a Regular Unleaded V-6 3.5 L/212 engine powering this Automatic transmission. .* Visit Us Today *For a must-own Honda Pilot come see us at Lujack Honda Hyundai, 3707 North Harrison St, Davenport, IA 52806. Just minutes away! Scores 26 Highway MPG and 18 City MPG! This Honda Pilot delivers a Regular Unleaded V-6 3.5 L/212 engine powering this Automatic transmission. .* Stop By Today *Come in for a quick visit at Lujack Honda Hyundai, 3707 North Harrison St, Davenport, IA 52806 to claim your Honda Pilot! Delivers 26 Highway MPG and 18 City MPG! This Honda Pilot delivers a Regular Unleaded V-6 3.5 L/212 engine powering this Automatic transmission. .* Stop By Today *A short visit to Lujack Honda Hyundai located at 3707 North Harrison St, Davenport, IA 52806 can get you a tried-and-true Pilot today! Scores 26 Highway MPG and 18 City MPG! This Honda Pilot boasts a Regular Unleaded V-6 3.5 L/212 engine powering this Automatic transmission. .* Visit Us Today *Stop by Lujack Honda Hyundai located at 3707 North Harrison St, Davenport, IA 52806 for a quick visit and a great vehicle! Delivers 26 Highway MPG and 18 City MPG! This Honda Pilot boasts a Regular Unleaded V-6 3.5 L/212 engine powering this Automatic transmission. .* Visit Us Today *Come in for a quick visit at Lujack Honda Hyundai, 3707 North Harrison St, Davenport, IA 52806 to claim your Honda Pilot! Scores 26 Highway MPG and 18 City MPG! This Honda Pilot delivers a Regular Unleaded V-6 3.5 L/212 engine powering this Automatic transmission. .* Stop By Today *Test drive this must-see, must-drive, must-own beauty today at Lujack Honda Hyundai, 3707 North Harrison St, Davenport, IA 52806. Delivers 26 Highway MPG and 18 City MPG! This Honda Pilot boasts a Regular Unleaded V-6 3.5 L/212 engine powering this Automatic transmission. .* Visit Us Today *A short visit to Lujack Honda Hyundai located at 3707 North Harrison St, Davenport, IA 52806 can get you a reliable Pilot today! Delivers 26 Highway MPG and 18 City MPG! This Honda Pilot boasts a Regular Unleaded V-6 3.5 L/212 engine powering this Automatic transmission. .* Visit Us Today *Test drive this must-see, must-drive, must-own beauty today at Lujack Honda Hyundai, 3707 North Harrison St, Davenport, IA 52806. Scores 26 Highway MPG and 19 City MPG! This Honda Pilot boasts a Regular Unleaded V-6 3.5 L/212 engine powering this Automatic transmission. .* Stop By Today *Test drive this must-see, must-drive, must-own beauty today at Lujack Honda Hyundai, 3707 North Harrison St, Davenport, IA 52806. Scores 26 Highway MPG and 19 City MPG! This Honda Pilot delivers a Regular Unleaded V-6 3.5 L/212 engine powering this Automatic transmission. .* Stop By Today *A short visit to Lujack Honda Hyundai located at 3707 North Harrison St, Davenport, IA 52806 can get you a tried-and-true Pilot today! Delivers 26 Highway MPG and 19 City MPG! This Honda Pilot boasts a Regular Unleaded V-6 3.5 L/212 engine powering this Automatic transmission. .* Stop By Today *Treat yourself- stop by Lujack Honda Hyundai located at 3707 North Harrison St, Davenport, IA 52806 to make this car yours today! Scores 26 Highway MPG and 19 City MPG! This Honda Pilot boasts a Regular Unleaded V-6 3.5 L/212 engine powering this Automatic transmission. .* Stop By Today *A short visit to Lujack Honda Hyundai located at 3707 North Harrison St, Davenport, IA 52806 can get you a tried-and-true Pilot today! Boasts 26 Highway MPG and 19 City MPG! This Honda Pilot delivers a Regular Unleaded V-6 3.5 L/212 engine powering this Automatic transmission. .* Visit Us Today *A short visit to Lujack Honda Hyundai located at 3707 North Harrison St, Davenport, IA 52806 can get you a dependable Pilot today! Delivers 26 Highway MPG and 19 City MPG! This Honda Pilot boasts a Regular Unleaded V-6 3.5 L/212 engine powering this Automatic transmission. .* Stop By Today *Come in for a quick visit at Lujack Honda Hyundai, 3707 North Harrison St, Davenport, IA 52806 to claim your Honda Pilot! Delivers 26 Highway MPG and 19 City MPG! 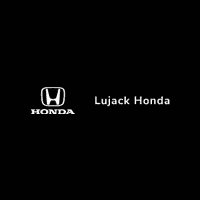 This Honda Pilot boasts a Regular Unleaded V-6 3.5 L/212 engine powering this Automatic transmission. .* Stop By Today *You've earned this- stop by Lujack Honda Hyundai located at 3707 North Harrison St, Davenport, IA 52806 to make this car yours today! Scores 26 Highway MPG and 19 City MPG! This Honda Pilot delivers a Regular Unleaded V-6 3.5 L/212 engine powering this Automatic transmission. .* Visit Us Today *Come in for a quick visit at Lujack Honda Hyundai, 3707 North Harrison St, Davenport, IA 52806 to claim your Honda Pilot! Boasts 26 Highway MPG and 19 City MPG! This Honda Pilot delivers a Regular Unleaded V-6 3.5 L/212 engine powering this Automatic transmission. .* Visit Us Today *Stop by Lujack Honda Hyundai located at 3707 North Harrison St, Davenport, IA 52806 for a quick visit and a great vehicle! Scores 26 Highway MPG and 19 City MPG! This Honda Pilot delivers a Regular Unleaded V-6 3.5 L/212 engine powering this Automatic transmission. .* Visit Us Today *You've earned this- stop by Lujack Honda Hyundai located at 3707 North Harrison St, Davenport, IA 52806 to make this car yours today!